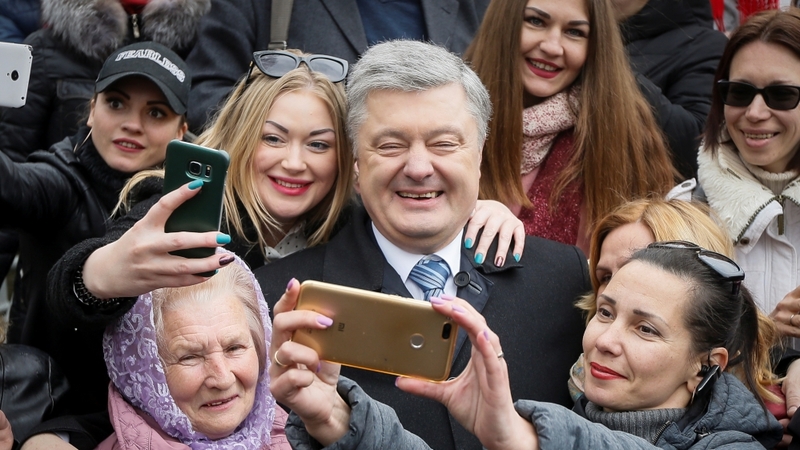 Kiev, Ukraine – Comedian Volodymyr Zelensky will face incumbent President Petro Poroshenko in a runoff vote for Ukraine‘s presidency, official preliminary results have shown. 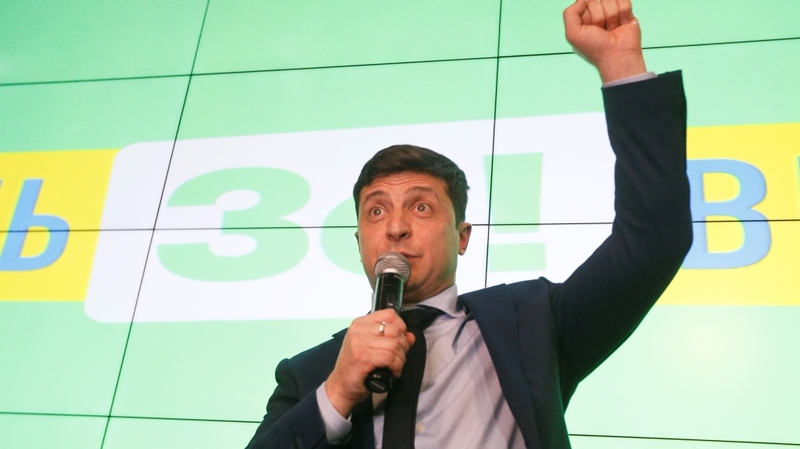 With more than 70 percent of votes counted, Ukraine’s Central Election Commission showed Zelensky, a political novice who is better known for playing a president in a TV sitcom, had secured 30.4 percent of the votes cast on Sunday. “This is just a first step towards a great victory,” he told supporters on Sunday after the publication of the exit polls which showed a similar result. According the official early count, only 16.1 percent of votes were cast in favour of Poroshenko, who has been in power since 2014. “I critically and soberly understand the signal that society gave today to the acting authorities,” he said, accepting the results. It was a different story for opposition leader Yulia Tymoshenko, who came third according to both the exit polls (14 percent) and the official early count (13.1 percent), but believed she secured enough votes to be in second place. “I urge not to consider exit polls as the ultimate truth. This is an absolutely manipulative dishonest thing,” said Tymoshenko, who has sought the presidency twice before. According to CEC the voter turnout stood at 63.4 percent. The decisive runoff will take place on April 21. Dmytro Razumkov, Zelensky’s political aide, told Al Jazeera that if the comedian won the second round of voting he would stand by the Minsk Agreement. The accord was forged by France, Germany, Ukraine and Russia – the countries involved in talks known as the Normandy Format – to secure a truce in the country’s east between the Moscow-backed rebels and the Ukrainian army that was the backbone in Ukraine’s security forces. “All sanctions put in place by the European Union against Russia are linked to the Minsk Agreement. If we try to annul it, we might lose these sanctions. It can’t be,” Razumkov said, speaking after Zelensky’s speech at his campaign headquarters in Kiev. “We will not be selling air. Even Germany’s [Chancellor] Angela Merkel said that the prospect is far. It doesn’t mean that we will stop aspiring to join the EU; we must keep following the path and one day achieve it,” he said. “The story is similar with the NATO. We need to modernise the army and at the moment Ukraine is not in a position to do so. The 53-year-old, who was elected with almost 55 percent of vote in 2014, seems to have failed to rally his electorate despite his efforts to be seen as a passionate defender of the country’s territorial unity, as well as the champion of the goal of joining the EU and NATO. During his time in office, Poroshenko reinforced the country’s army and ratified the Association Agreement with the EU, the document that enabled Ukrainians to trade with and travel to Europe without restrictions. The incumbent president also secured the independence of Ukraine’s Orthodox Church from its Russian counterpart. But he failed to rid the country of corruption or recover money stolen from Ukraine’s coffers before he came to power. At a polling station in central Kiev, Sviatoslav Yurash, a 23-year-old working for Zelensky’s election campaign team, told Al Jazeera he was backing the comic because “he will be pro-market, pro-Ukraine, pro-Europe, pro-NATO”. “I do not think that other candidates will be able to negotiate with [Russia’s President Vladimir] Putin. Poroshenko is the only one who will resist the way I think is correct,” she told Al Jazeera. 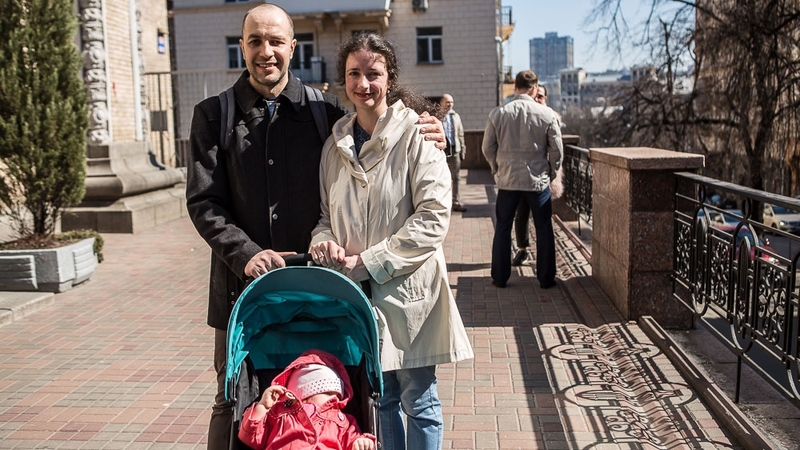 The elections took place against a backdrop of war that has killed more than 13,000 people in Ukraine’s eastern Donetsk and Luhansk region, with government forces fighting Russia-backed separatists. The conflict followed Russia’s annexation of Crimea in 2014 which in turn came after Ukraine overthrew Moscow-backed leader Viktor Yanukovich earlier that year. Oleksandr Bondarenko, a 28-year-old software developer, said she had voted for Tymoshenko “because with her in the second round, we will have a better chance of defeating Poroshenko”. “This vote is very important for us because President Poroshenko has to leave. A lot of issues came up with his policies, especially with corruption,” said Bondarenko. Olena Peftiiva, 53, came to the polling station not only to cast her ballot but also make sure that her deceased husband’s ballot was not used improperly. “My husband has been dead for 10 years. But his election registration confirmation arrived at my address. This has not happened during previous polls. I came to the polling station to make sure that his ballot is destroyed,” she said.